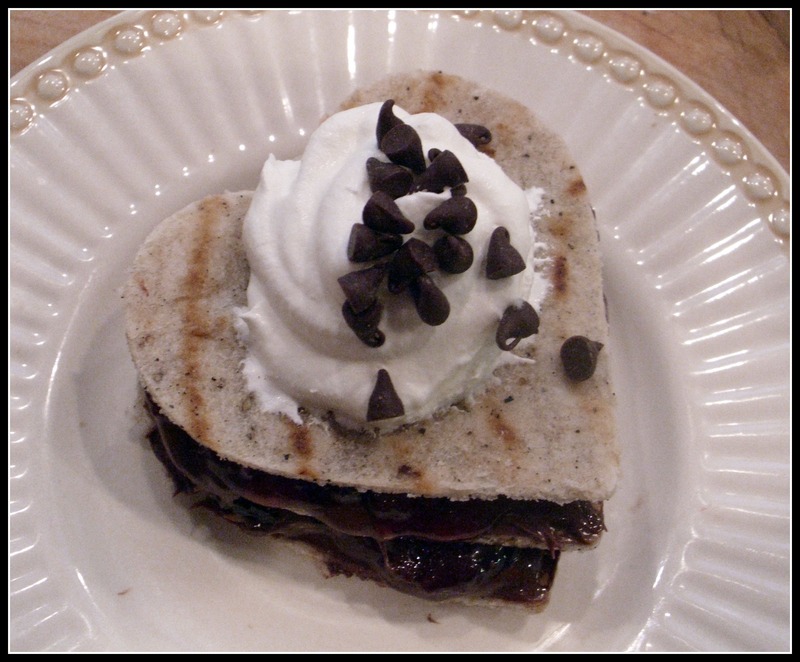 Tortillas are very versatile… They are great with appetizers, main dishes and desserts. They bring back childhood memories because when I was little my Titi (endearment for Tia) used to make them for us as an afternoon snack. I remember feeling especially lucky (and proud) when she made them for my third grade class who had never tasted tortillas. By the way, there were 42 kids in my third grade class. Wow! That was definitely a labor of love…. This week was my first attempt at making tortillas. Inspired by this childhood memory, my sons and I worked together on this article. They really got into rolling the dough. 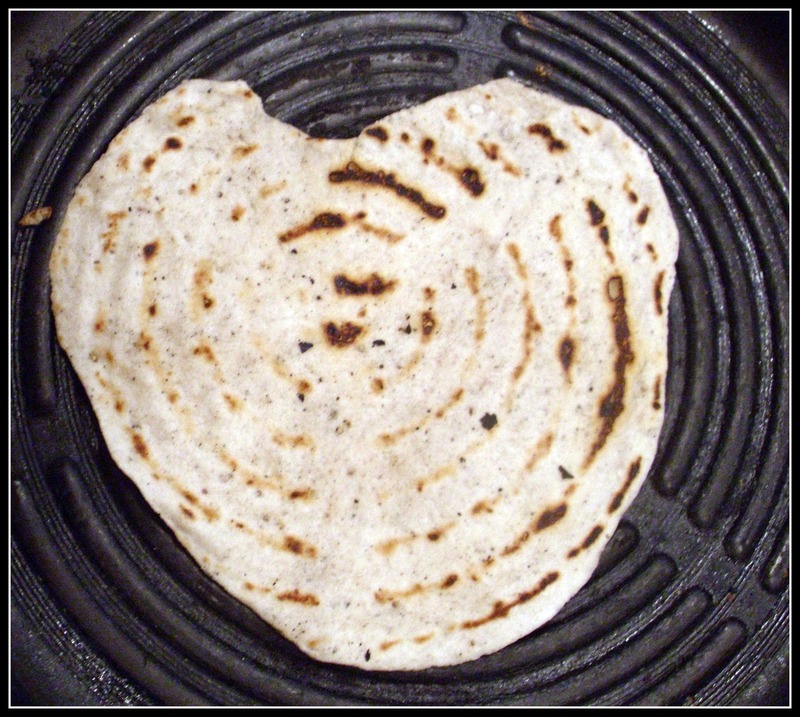 We were very excited when one of the tortillas ended up in the shape of a heart. We took pictures as we went along to share. P.S. Sending Special Birthday Wishes to my sister, Desiree. Love Ya! 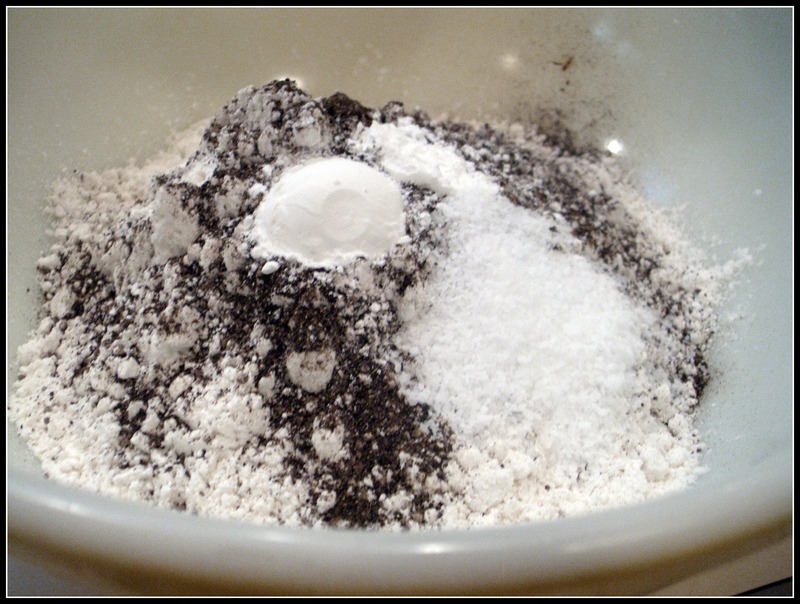 Measure your flour, salt, black pepper and baking powder into a bowl and set aside. 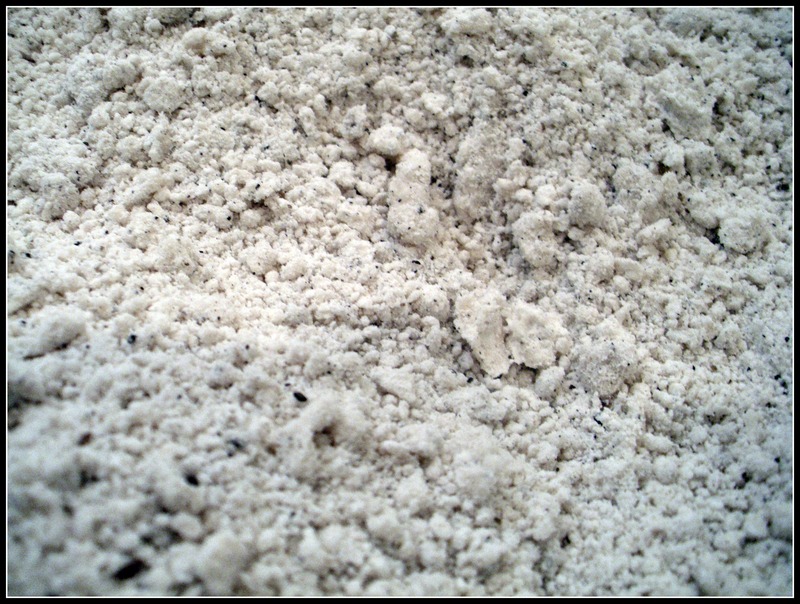 Add the shortening to the flour mixture. Using a pastry cutter, cut the shortening until the mixture has consistency of meal (crumbly). 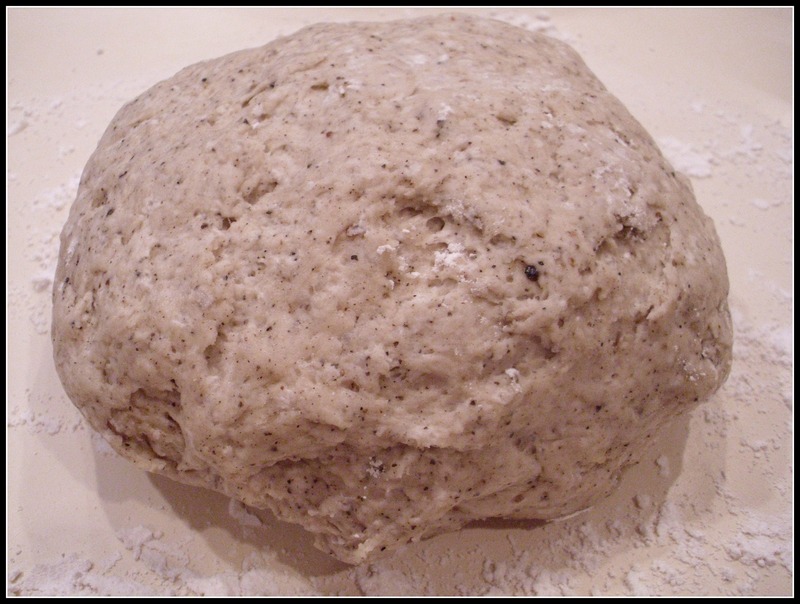 Add hot water to flour mixture. 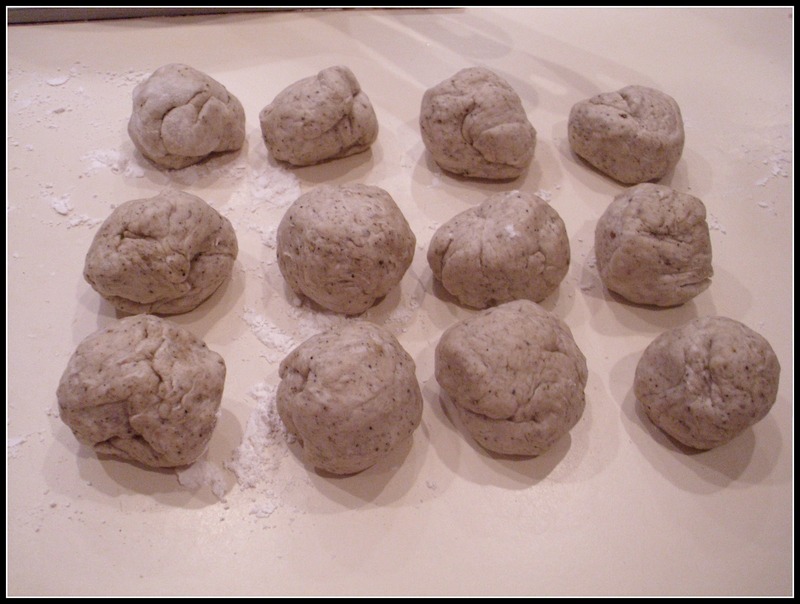 Use a spatula to combine the ingredients into a ball (until the dough does not stick to the sides of your bowl). Note: You may have to add a few tablepoons of flour. Cover the bowl with a clean dish towel and let rest for 1 hour. Divide the ball into 12 smaller balls. Cover with a clean dish towel. Using a ro lling pin, roll each ball into to be about 1/8 inch thick. 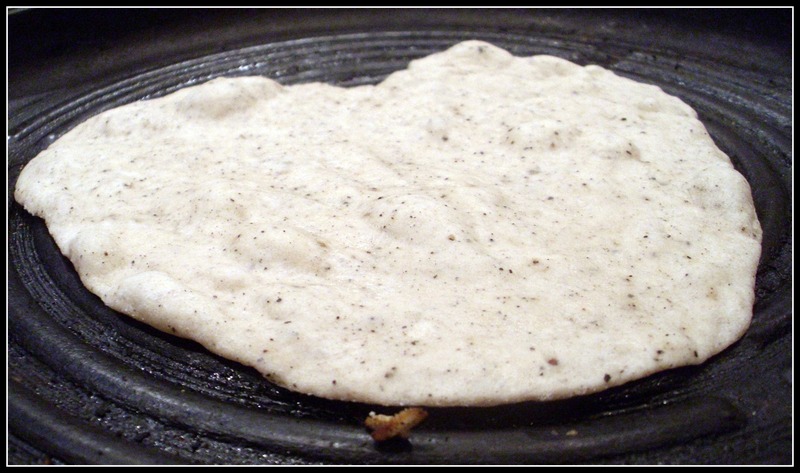 Place tortilla on a hot skillet. Cook for 1-2 minutes on first side. It will start to bubble which is a sign to flip it. Cook for another 1-2 minutes on the other side. 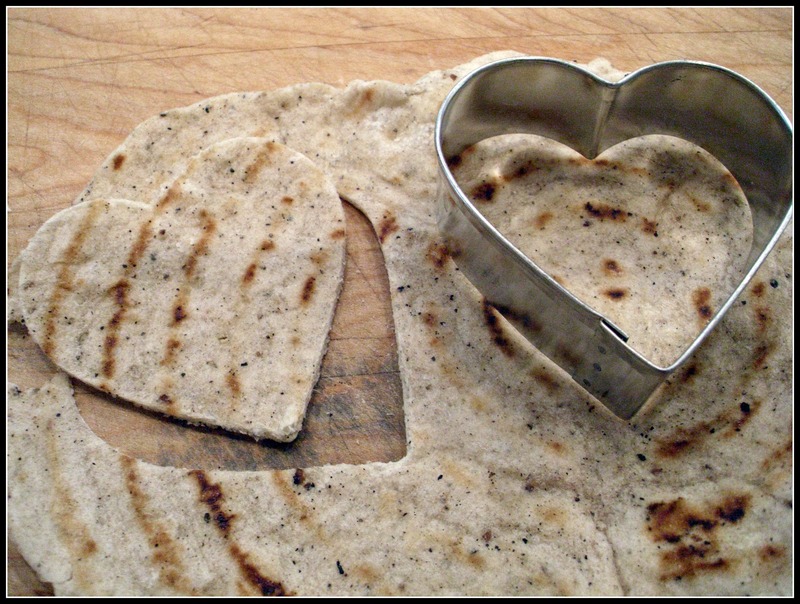 Using a cookie cutter, cut out 3 shapes from a black pepper tortilla. 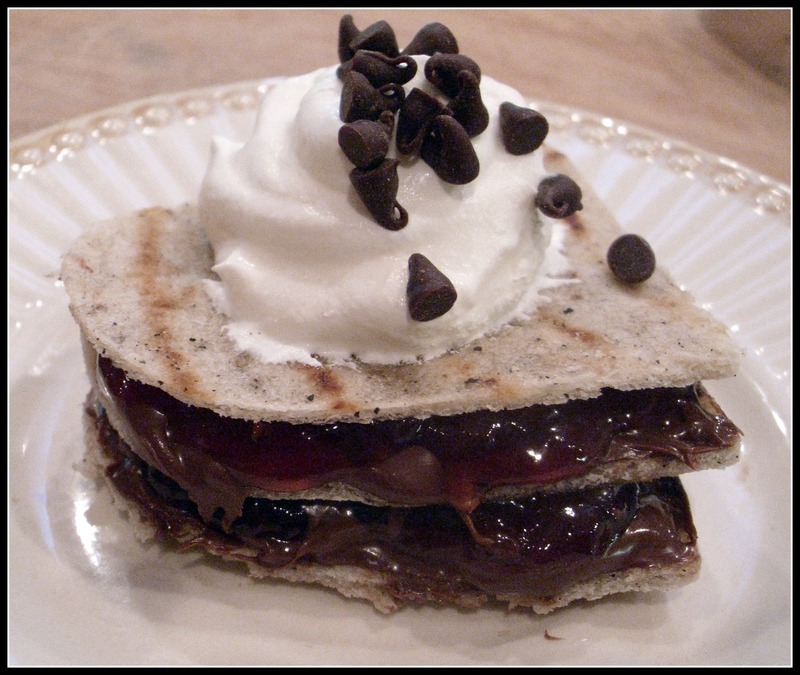 Spread some Nutella and Strawberry Preserves onto the first tortilla. 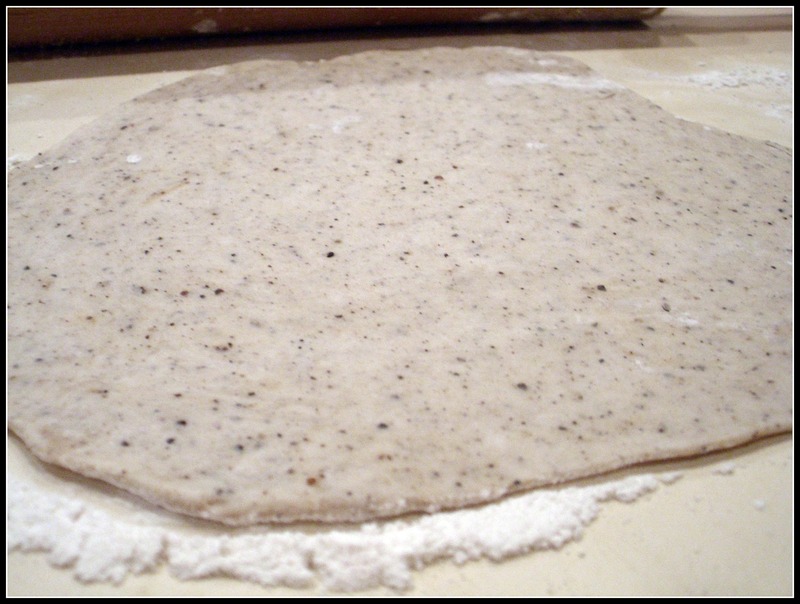 Top with the second tortilla. Repeat. Garnish with whipped cream and mini-chocolate chips. Thank you. :). Have a great day!